The additional challenge comes from margins being squeezed throughout the manufacturing process. Customers demand more information, more options, and more speed in product delivery. Manufacturers play a constant game of “keep ahead of the Joneses,” while trying to achieve maximum ROI. A corporation’s typical approach to computing is to equip and staff a full data center, purchasing racks of servers and piles of software to house everything from databases to corporate email, VOIP, file storage, department files, and enterprise applications. Every data center also requires support: space, power and cooling, switches, UPS, firewalls, cabling, racks, and fire protection—not to mention the staff to run and maintain the equipment. And upgrades every three to five years. Then there are the hidden costs, including outages, maintenance, backups, depreciation, insurance, and more. It’s a resource-intensive endeavor, but to date, there’s been little choice. Hardware is a particularly tricky part of the equation to consider, especially when an enterprise needs high powered computing (HPC) configurations. HPC systems are vital for a variety of critical computer-intensive simulation and optimization tasks, such as analyses of fluid flow dynamics, mechanical and structural stresses, and electromagnetic behavior. As might be expected, the speed and capacity of installed HPC resources can have a big impact on how quickly a new product makes it to market and how it fares against the competition. 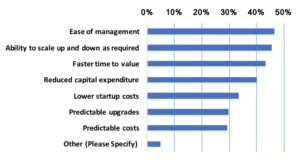 But it’s not as easy as “the bigger the better.” HPC resources are expensive, and only rarely in a typical work cycle are they used to their maximum capacity. But companies can’t skimp on them either. 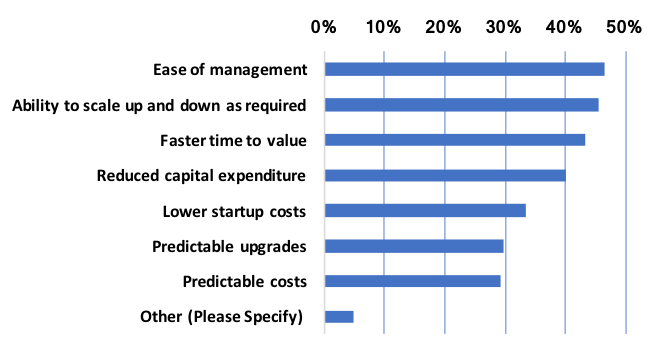 IDC reports that hardware and software were only 14% of the three-year cost of ownership of HPC resources, but staffing is more than half. With the greatest investment coming in the form of worker time, downtime and lost productivity that result from workers waiting around for computations to run can be the most costly gamble of all. In a new paper, Cloud-Based High Performance Computing, Dassault Systèmes suggests a new solution that scales with an enterprise’s needs: cloud-native software with integrated simulation tools—the 3DEXPERIENCE platform—to run on cloud HPC or in a hybrid cloud/in-house configuration. To date, cloud hasn’t been widely adopted by those needing HPC, in part because every solver algorithm may perform better on different types of architecture, but also due to concerns about security for IP-related data, full access to technology, costs, and more. However, the cloud HPC market has risen to those challenges, much as other SaaS cloud providers did. Since Salesforce’s pioneering effort with CRM in cloud services, other enterprise cloud-service businesses have grown exponentially in recent years, from basic office tools to big-data analytics providers. As the paper points out, Dassault is in a unique industry position with their offer of a complete suite of connected tools, “all the way from early stage product conception, through physics-based optimization to manufacturing simulation and in-service operation.” In addition, they offer an all-in-one, turnkey solution for cloud-based simulation that includes software, data, hardware, and licensing on-demand. Like today’s cloud-based CRM, cloud-based engineering and design data can be selectively shared and collaborated on by worldwide teams while still maintaining a secure, traceable single source of truth. With Dassault’s 3DEXPERIENCE and cloud offerings, large enterprises can build confidence in cloud HPC while still working in a hybrid manner with their own datacenter, and small companies can maintain or move to a zero-IT footprint. For every organization, a natively cloud-based, collaborative system offers faster time-to-market and lower costs via improvements in product organization and management, communication, and overall productivity. To find out more about the details and costs of HPC and Dassault’s solutions, read the paper or contact Adaptive. 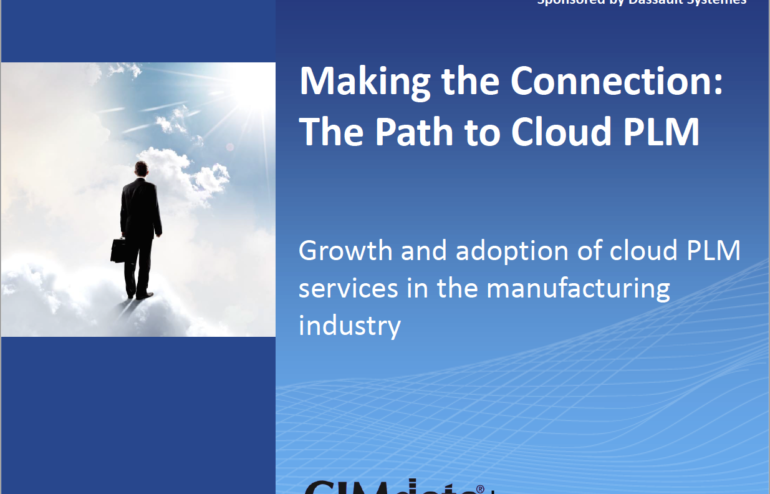 A newly released study titled Making the Connection: The Path to Cloud PLM, published by CIMdata, explores the growth and adoption of cloud product lifecycle management (PLM) systems. The study examines how cloud computing is changing the manufacturing market. This report follows a similar report, which I wrote about in a blog titled Solve Cross-Functional Collaboration Challenges with Cloud PLM. The report discusses about the challenges and benefits of cloud computing. I wanted to dive deeper into two topics. Why customers are moving to the cloud and how to make the cloud fit into your PLM strategy. There are several advantages to adopting cloud (PLM) solutions. For starters, cloud PLM systems are easier and less expensive to manage. The vendor manages the software for you. They also host the solution on their servers and will upgrade the application. Cloud solution providers are responsible for the security and maintenance of the application. And since you are subscribing to the solution, you can spread the costs out over time. Cloud PLM solutions are scalable. You can start with a few users, then expand as you need more. Or you can start with a few basic functions then increase the functionality. You can also subtract users or functions at any time. The great thing is, there’s no need for lengthy implementation processes. In some cases, you can be up and running in a manner of minutes. 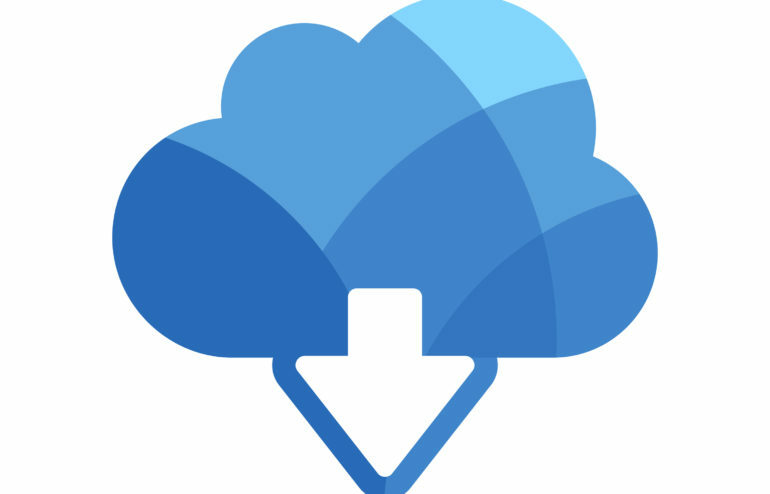 You don’t need to buy new hardware or network equipment to install or expand the cloud PLM system. That will make your finance people happy since they don’t need to spend precious funds on more hardware. Creating a centralized data repository is another benefit of PLM. You can store your data in one location and multiple users can access the data. Having the data available on the cloud means employees can access it from anywhere in the world. It’s what many in the industry call a ‘single source of truth’. Centralized processes end the practice of storing documents in different network drives. It also streamlines version control and engineering change orders. Think of how much time you spend searching for the right document or the correct version of a 3D CAD file. There are many innovative apps that leverage the collaborative nature of cloud computing. For instance, Virtual Reality applications let you share your CAD designs. Anyone can view your design in a virtual environment. You can also create custom dashboards to organize your PLM process. The 3DView app allows you to share your CAD files with non-CAD users. Other apps allow you to create social communities to gather customer feedback. 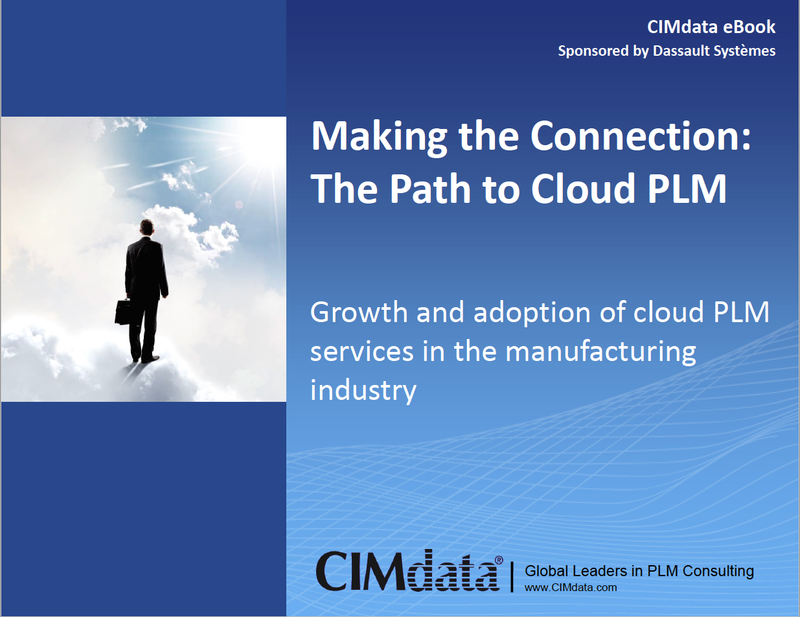 The CIMdata study presents three paths to move towards a cloud PLM solution. They suggest you don’t need to make the move at once. But you should start by identifying the best migration path for your company. You can ‘encapsulate’ your existing PLM system with existing functionality. For instance, CAD users can use on-premise design software and add PLM functions. You can take the incremental approach. For instance, some features are better suited to the cloud. On-premise customers can add cloud-based project management or requirements management functions. You could also roll out the cloud solution by department or business units. Either way, the first step should be to identify and locate your key data files. This will help streamline the implementation process. Making a total switch is a final alternative. But it’s also the riskiest. If you do choose this path, we recommend working with a partner who has experience in this area. A complete switch might work if your company has not yet adopted a PLM solution. You also have to consider what effect the change will have on your total IT infrastructure. For instance, will your cloud PLM integrate with your ERP, MRP, or CRM solutions? Research firms like CIMdata can provide you with guidance and advice. You can also speak with the PLM experts here at Adaptive. We’ll be glad to help you plan your next move. 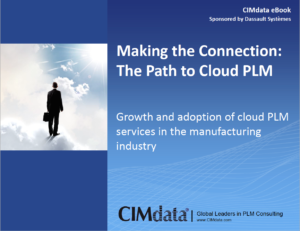 A study performed in January 2018 by CIMdata, in partnership with leading PLM solution providers, uncovered compelling insights into plans for cloud PLM adoption. CIMdata’s motivation for the survey of industrial companies was a belief that cloud adoption in the PLM space was slower than in other enterprise application areas—a belief that was surprisingly not borne out by responses. What CIMdata did find is that cloud PLM seems poised for significant growth in the near future. Some of the most intriguing information in CIMdata’s paper about the research, Cloud PLM: Understanding Adoption Prospects, has to do with the benefits survey respondents expect to reap from cloud PLM. Topping the list is making data management easier for IT teams, as well as easy scalability, lower costs—for both startup and ongoing maintenance—and greater simplicity and predictability for future upgrades and validation of implementations. Top concerns respondents expect to face with cloud PLM implementations are issues with integration, security, inability to customize, lack of confidence in cloud-based performance, and potential data-lock-in. But the most interesting metric has to do with the biggest challenges respondents’ face with their PLM implementation, particularly the fact that cross-functional coordination is number one on the list. This ubiquitous concern is independent of PLM, of course, and speaks more to the intractability of many entrenched organizational structures. Over and over the issues that arise during any kind of enterprise platform implementation are how to get information out of departmental or team silos and into a central repository to be accessed company-wide. Doing so requires not only a procedural change, from one software platform and set of habits to another but also a cultural change that can be similarly tough for an entrenched corporate structure. Overcoming resistance to change is a universal, perennial challenge for companies and organizations large and small, but it’s the first step toward making meaningful improvements that can help productivity, employee satisfaction, and ROI. One of the best tools for overcoming resistance is, ironically, one of the sources of concern: a cloud PLM solution. But it’s better seen not as a new piece of software mandated for company-wide adoption, but as a single source of truth—a single location where all product and part information resides, connected and cross-referenced, so all teams and departments can access any information they need, any time they need it, and know with total certainty that the data is up to date. The move to a single source of truth must begin with the enterprise making a clear decision to change. To guarantee cross-functional collaboration takes root, there must be clear organizational goals driving the activity. Executive sponsorship of the process is key, paired with team accountability, to ensure everyone in the company moves forward together. 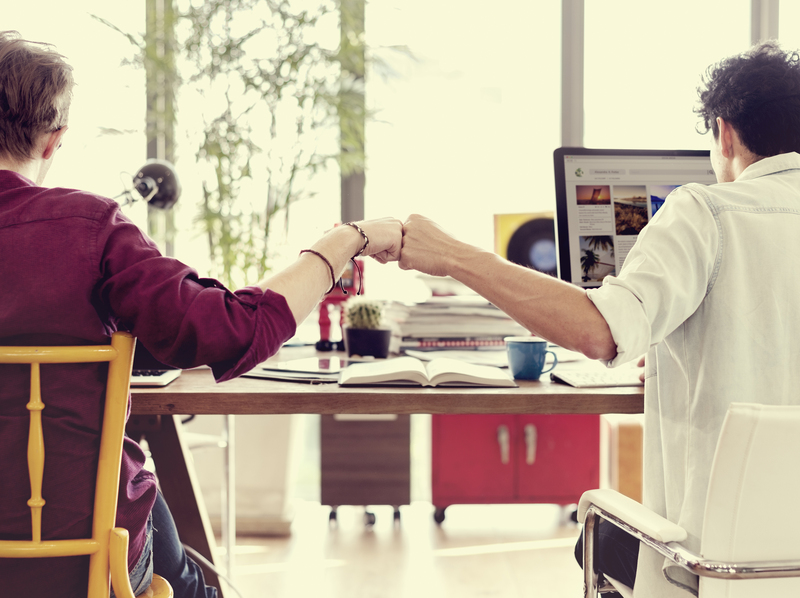 When a company gets onboard with cloud PLM, every department, every team, and every individual stand to realize the benefits. The “single source of truth” means a single platform delivering all the functionality the enterprise requires, making installation, administration, and maintenance easier for everyone. It also means a central repository—a central location where all product data is stored and where everyone can find the information they need. This ultimately reduces the burden on individual departments, especially engineering, that no longer have to respond to multiple requests for information tailored to another department’s needs. PLM based in the cloud offers anytime, anywhere access and, typically, high availability, without the attendant burden on the corporate budget to finance or IT to maintain a capable system. High-end PLM platforms are also easy to integrate with a wide variety of other enterprise systems, such as ERP, CRM, MRP, SharePoint, and more. In addition, a cloud PLM platform enables the complete enterprise collaboration package: all of the different activities and actions that combine to deliver business intelligence and reporting, including design, simulation, virtual manufacturing, additive manufacturing, and inspection and metrology. 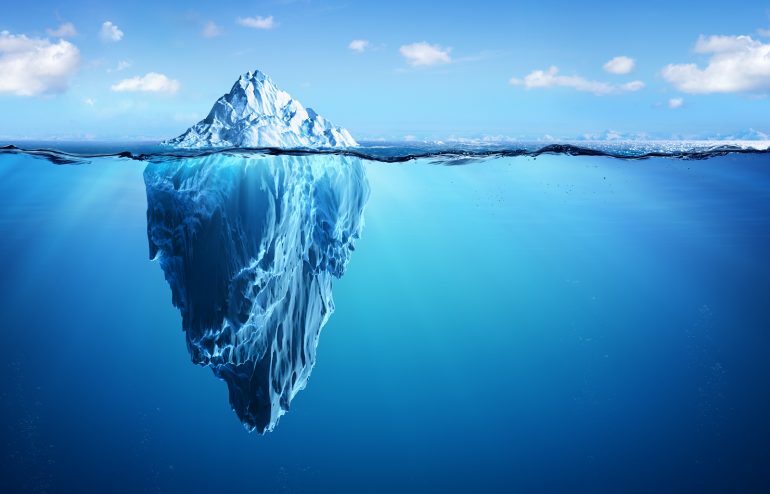 In the end, with an integrated, comprehensive cloud PLM system, it becomes much more than a piece of software, but a single source of truth for all teams who take an active part in bringing a product to market. This is the level of true collaboration that will help to improve an organization’s bottom line.